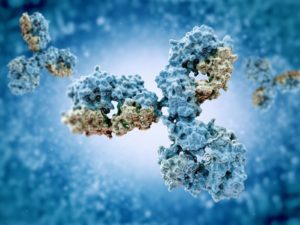 Is your antibody validation unique? As part of the 2019 CiteAb Awards we’re on the lookout for the world’s most innovative antibody validation initiatives. Does your company take special measures to validate its antibody products? Do you have a new initiative, launched in the past year, that is changing how you do things and which others could learn from? We want to hear from you now! Make sure you look at our ‘Best antibody validation initiative’ category in this years’ awards and get your entry in today – self nomination is encouraged in this category because no one will know the details of your initiative as well as you do, and we want to share what makes it stand out from others. In past years, this category has been won by Thermo Fisher Scientific (2018), Abcam (2017) and ProteinTech (2016). Thermo Fisher won the award for its 2-part Validation Approach, a 2-part testing approach, validating the company’s most widely used antibodies for specificity and utility in different applications. These include secondaries as well as the company’s eBioscience flow cytometry antibodies. What’s excited our judges about this approach was the comprehensive nature of the testing methods used. Not only did the company test for application, providing data on its website showing which applications each antibody works best in, but they also tested for specificity as well and posted that data on product pages. By employing a variety of specificity testing methods, the company ensured that it employed the appropriate validation test based on the use and function of a specific antibody. Once an antibody has been tested using this 2-part approach, it receives a ‘badge’ on the company’s website called the advanced verification badge. This badge provides customers with further confidence of its performance and use in their experiments. Abcam won the award in 2017 for its impressive KO initiative. During 2017 the company introduced knockout (KO) validation at scale to ensure its antibodies were specific and to provide reproducible results. Using human KO cell lines, the company developed a growing range of KO-validated antibodies, including many recombinant monoclonal antibodies. You can read more about Abcam’s KO validation initiative here. To be eligible for this award, Most work on the initiative nominated should have been completed between January 2018 and December 2018. Visit our award pages now to make your nomination!